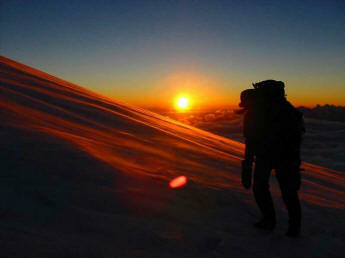 From the crater, early morning (about 03.00 am) commence the climb with Guide Team ascend the Summit of Mt. 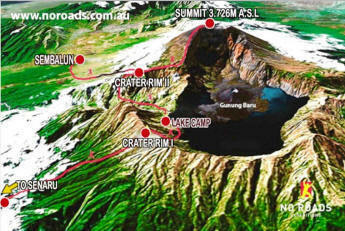 Rinjani (3.726m a.s.l. ), it takes about 3 hours. After the obligatory photographs and enjoy the spectacular panorama descend to crater (the camp). After having late breakfast, Then along down to the lake for 3hrs. Today we will be spending relaxing in the nearby hot spring pool, then having sauna a while waiting for the porter prepare our lunch. 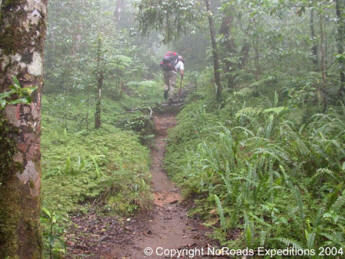 After satisfying lunch we head up to the volcano rim of senaru. Overnight in the crater of senaru. Early morning, awhile you have morning breakfast, you can enjoy sunrise and morning view; then at 8 am we start descent to Senaru village. Around 14.00pm will be in senaru village. and then Drive to senggigi. Overnight at Hotel. in complete contrast to the mountain, we head out on a boat to gili trawangan and meno for snorkeling, fishing and general relaxing. 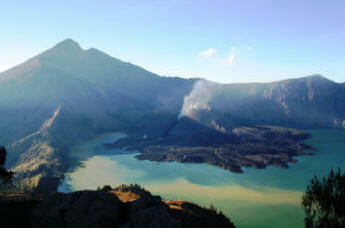 You can now sit back, reflect and enjoy the feeling of being Rinjani summiteers. 3 o’clock back from the gili to senggigi for your last overnight in lombok .